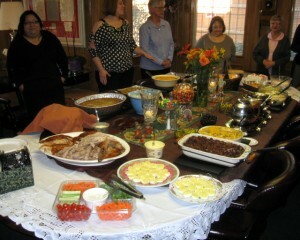 Our Annual Office Thanksgiving Luncheon was this Tuesday and was it ever delicious! Employees came and brought their special home recipes for an early celebration of the holiday meal; there must have been at least 30 different dishes at the table! It was a great way to enjoy everyone's company before the busy holiday times ahead!